Gucci has now been on the scene for 90 years. More than a heritage trademark, Gucci is in the ranks of pioneers, for their attention to fine leather goods. Although receiving oodles of accolades for their various men’s and women’s lines, it’s luxury leather, that gives Gucci its timeless appeal. To celebrate this watershed birthday, Gucci is set to release its 1921 line, which pays homage to their illustrious past. 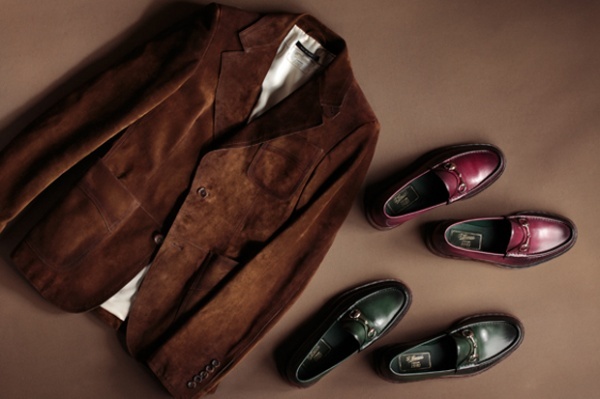 Using mostly calfskin and suede, 1921 by Gucci will feature several jackets, loafers, bags and wallets. Get a piece of Gucci history with the 1921 collection. Available soon. This entry was posted in Collections, News. Bookmark the permalink. Pingback: Gucci “1921″ 90th Anniversary Collection | Think CONTRA - ideas. people. culture.